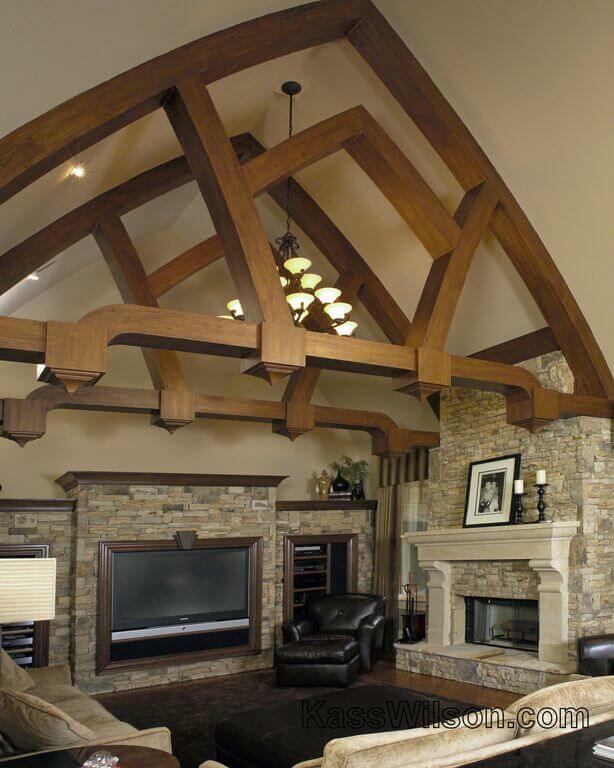 There is no debating that the most dramatic feature of this room is the beams. 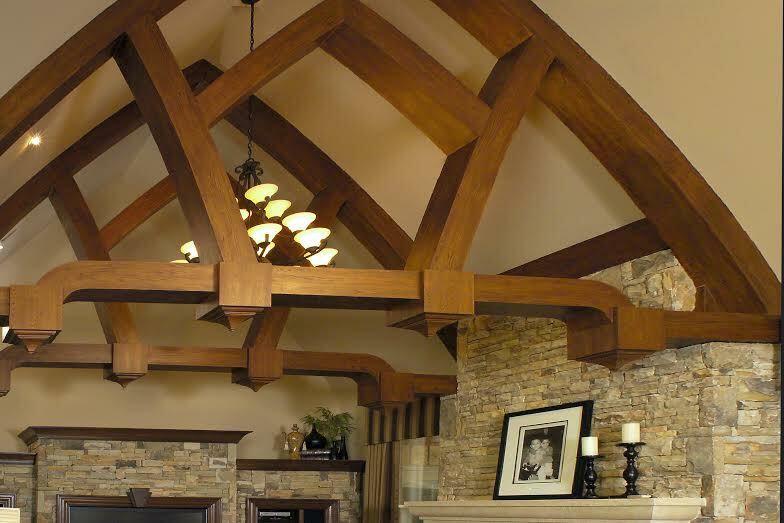 Unlike most beams, they follow the curves of the arched ceiling. Their graceful shape and interesting architecture are possible because they were constructed out of fiber board! 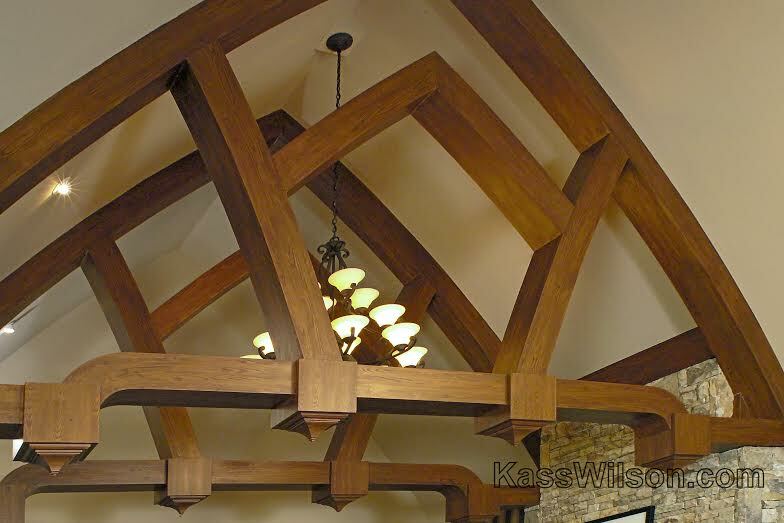 Creating beams with this amount of architectural detail would not only be cost prohibitive but also a challenge with supporting the weight. 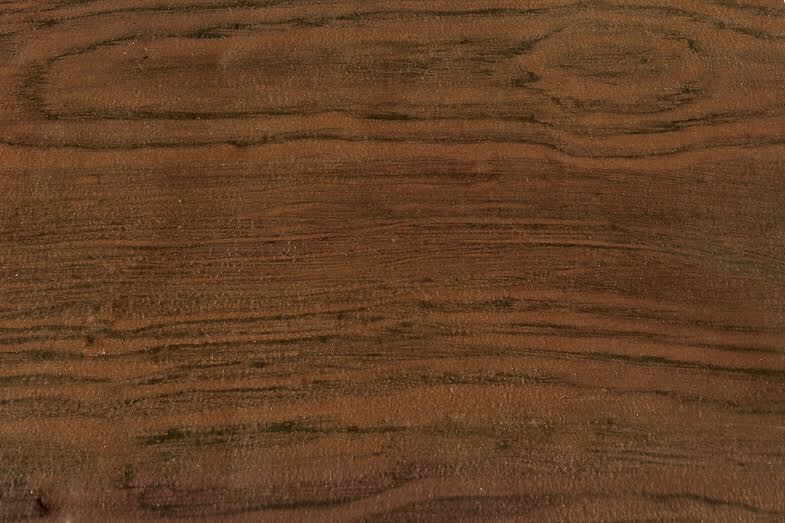 Fortunately, we created a beautiful painted wood graining technique (faux bois) which allows them to appear as finely crafted wood . . . complete with crisp lines that represent the joints and change of direction of the wood. The colors are a perfect match to the authentic wood within the space. 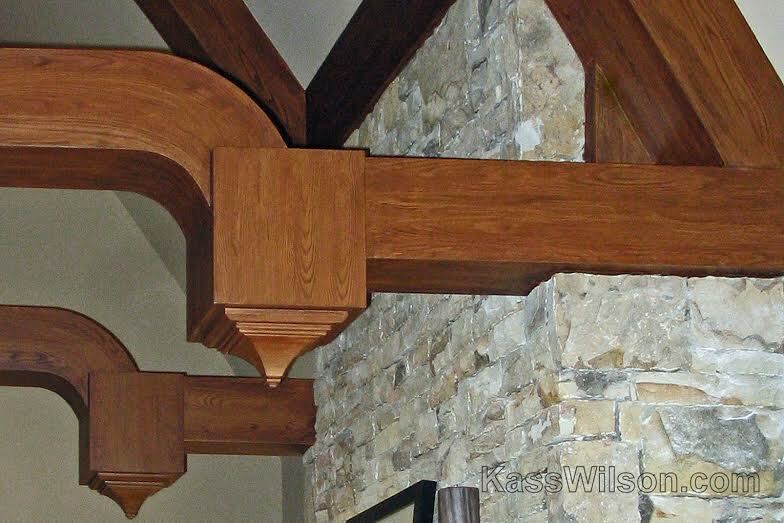 The intricacy and realism of this painted wood graining technique makes these beams consistent with the high expectation of quality and attention to detail throughout this home. 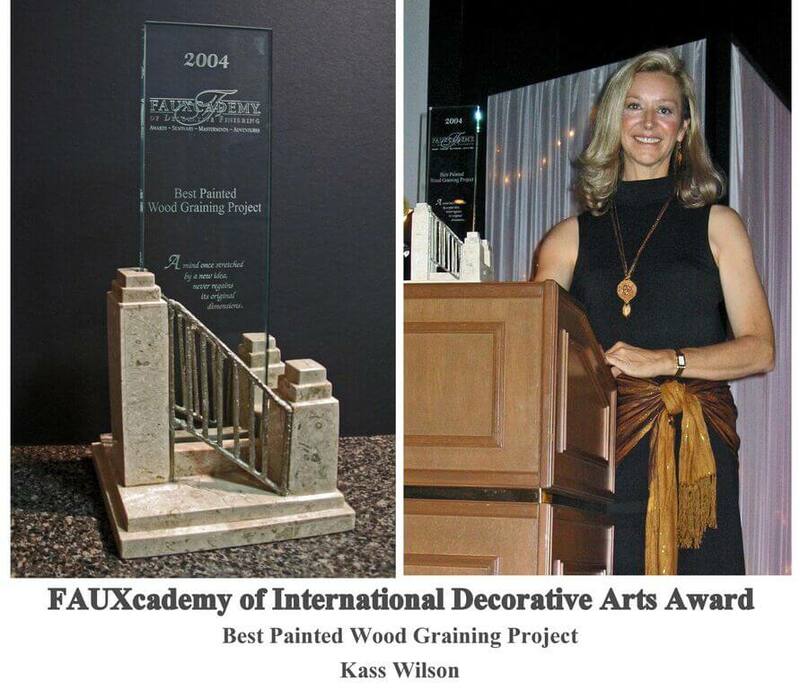 This project was chosen as the winner in the wood graining category at the 2004 Fauxcademy of Decorative Arts. 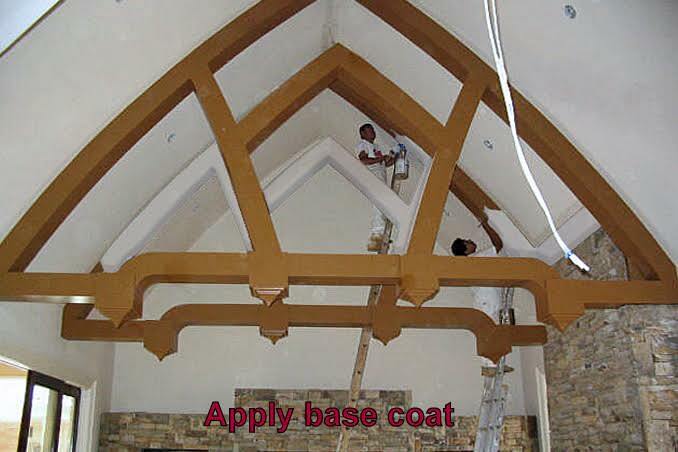 To see more wood graining projects, visit our faux finish gallery and contact us today!